Invest in London based office workstation. Guaranteed Returns at 11.25% to 15.5% rental income per Annum depending on the number of units purchased. Buy back on year 5 is 105% of the purchase price. 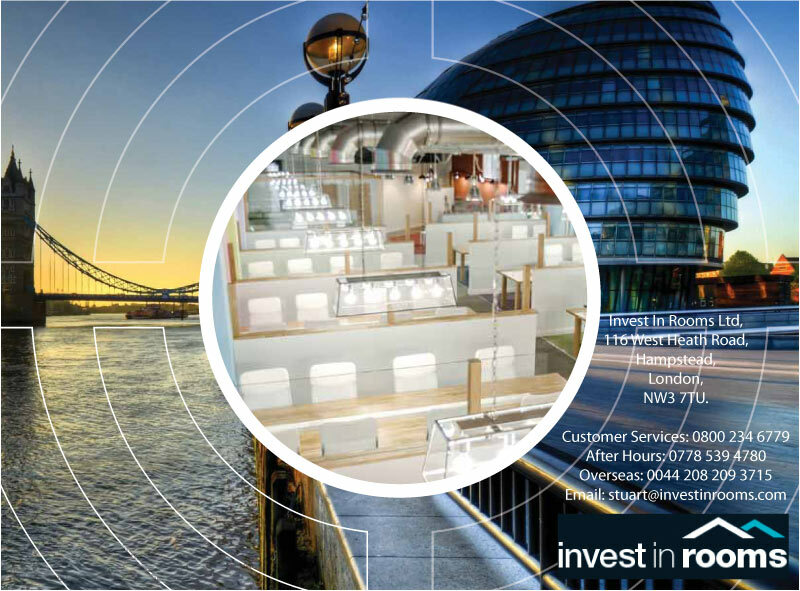 Investinrooms is a high yielding and high income producing Investment provider. Our business model is to provide Guaranteed Returns on your Property Investments. We specialise in Property Investments (Including Buy to Let), Hotels, Student Accommodation, Care Homes, Pensions and SIPP Investments. We can offer UK Investments as well as Overseas Investments. Investinrooms Ltd ©. All rights reserved.